Epson’s business inkjet technology is enabling customers across Europe to transform the economics of printing for their businesses and organisations. Replacing a laser printer with an Epson inkjet is an easy decision with benefits that can reduce your overheads, boost productivity and cut energy usage. Save energy and reduce waste with Epson Inkjet. 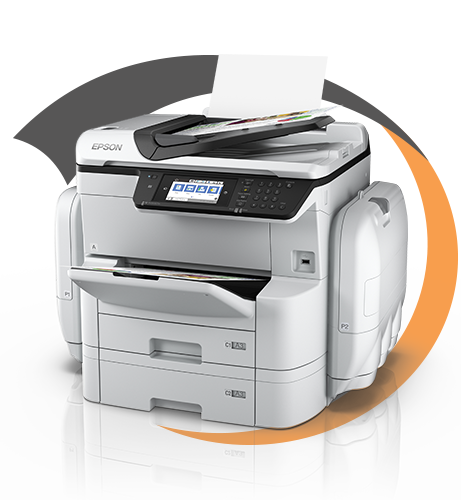 Significantly reduce your waste and energy costs by switching from a laser printer to an Epson inkjet printer. These can produce up to 99% less waste2 and use up to 96% less energy than a laser printer3. Faster, reliable printing from Epson Inkjet. 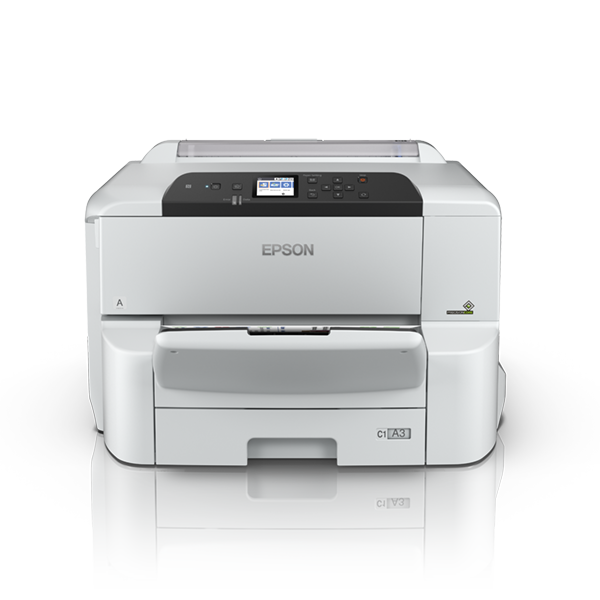 Switch from a laser printer to an Epson inkjet printer to save time and be more productive. An Epson inkjet printer is up to 3.5 times faster4 than a laser and reduces user intervention time by up to 98%5. 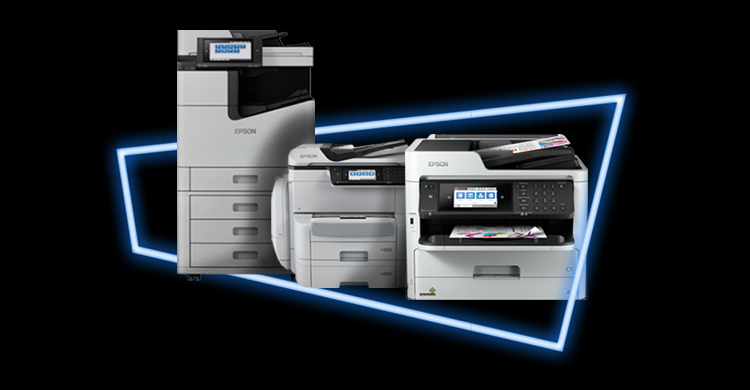 In independent tests, Epson’s WorkForce Pro models used up to 96% less energy than lasers and laser copiers3. See how much electricity and CO2 you can save by using our calculator. See how much the WorkForce Pro range can save you over the lifetime of your printer with our easy to use, Total Cost of Ownership calculator. Need help deciding which Epson inkjet printer to switch to? 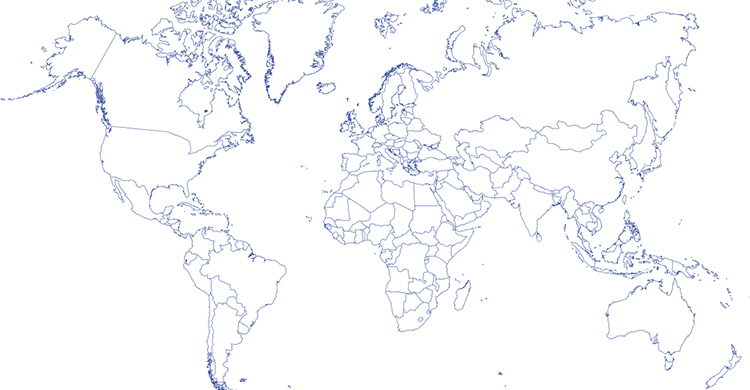 Find your nearest Epson product dealer. For more information about our business Inkjet range, simply fill in your details below and an Epson representative will be in touch. 1Saving based on colour CPP (cost per page). Comparison made against the top 10 best-selling colour laser printers, with a print speed between 1 and 30 pages per minute, in Western Europe and Central and Eastern Europe as defined by IDC in the 12 months up to June 2017. CPP data taken from GAP intelligence report for August 2017 and is an average of pricing seen in DE, FR and UK (with value in Euros as quoted by GAP). Epson values based on RRP of XXL ink packs (5,000 pages yield according to IEEE/ISO 24711/24712). Pricing for competitor models was the lowest CPP available. 2In independent tests, Epson’s WorkForce Pro RIPS models produce up to 99% less waste than lasers and copiers. As tested by BLI, over two months to Feb 2017, against a selection of competing machines, as commissioned by Epson. 3As tested by BLI, over two months to Feb 2017, against a selection of competing machines, as commissioned by Epson. Models chosen based on data from IDC on the top selling five models globally, in the 11-20ppm A4 category and the segment 2 A3 category, using only one of each engine type, with the addition of an A3 device from HP. Energy consumption calculated in wH for 5 minutes printing, compared to laser printers and copiers. 4In independent tests, Epson’s WorkForce Pro models are up to three and a half times faster than lasers and colour copiers for first page out. As tested by BLI, over two months to April 2017, FPOT (First Page Out Time) from overnight sleep, against all competitive machines tested at time of publication. FPOT is from overnight sleep where the device sits idle overnight and the time in seconds is measured including warming up, processing, imaging and delivery of a single-page test file to the tray. 5In independent tests, Epson’s WorkForce Pro RIPS models cut time spent on interventions by up to 98% compared to lasers and laser copiers. As tested by BLI, over two months to Feb 2017, against a selection of competing machines, as commissioned by Epson.